It always seems such a juxtaposition – to call the day of remembrance of Christ’s humiliation and suffering unto death “good”. But it is true. Everything we as Christian’s have and experience hinge upon this very event. His teachings model for us how to live, the miracle of His birth and the healings He performed, even restoration of life to the dead; all very powerful testimonies to the deity of Christ. But it is the Cross alone that was/is/and forever will be the catalyst for all of humanity’s eternal connection to God. And in His death and resurrection begat the Holy Spirit, the Advocate that makes our life on earth one of transformation from selfishness to selflessness, one of weakness and brokenness to that of strength, wisdom, holiness, and power. This message resonated in my heart at 3am this morning. I had a dream, almost more of a nightmare but for me the message became clear. Basically I and some friends were emptying out an apartment to shampoo my carpets. We had to take all the furniture out of the unit and place it in the common walkways of the large apartment complex. It wasn’t intrusive to anyone, but it was stacks of stuff in plain view. As we were going about our work someone noticed that the stuff was being looted, people were stealing couch cushions, taking lamps, chairs… and I was angry. I chased after them, then I woke up. In those first few minutes I felt betrayed, angry, revengeful. I wanted to chase them down and make them pay. Even as I type this I can reengage those feelings of “that’s not fair, that’s my stuff, I will make you pay for this”. What does this have to do with the power of Christ within us you might ask… I think it speaks to the very definition of power, the power to change from operating in our “mere humaness” (yesterday’s blog) to that of behaving through the Power of Christ. As I became more awake I became in touch with a new feeling that gradually overtook me. It was a realization that these people didn’t know Christ. These people felt they were lacking in their life and needed to steal to “get theirs”. They were broken, lost, hurting and taking from the world because they knew no other way; to them this was survival and success. But I on the other hand could freely give of that stuff. I have the means to replace the lamps and the couches and the “stuff”. That if their family could be blessed by these items, then why not freely let them have it. What would be better served, me hunting them down and executing justice through a worldly power, or me having the opportunity to express grace, forgiveness, compassion and understanding that they are no different than myself; a begger in a broken world. The only difference between me and them is that I know this world is temporary, I know that “stuff” has no value in Kingdom terms, I know that the bitterness in my soul at that moment was much more hideous in my walk with Christ than any act another could perpetrate upon me or my “stuff”. To me, that is true power. The power to endure the evils and brokenness of this world and see beyond the surface pains into the likeness of Christ that is aching in the soul of every person to come to life and renew their hearts and minds; just as He is doing to me. It is our role as Christians, our God ordained calling to make disciples of all the earth at any cost. As I lay there reflecting on this experience of heart transformation over this dream I got a painful cramp in my calf, I called out as the pain was so bad. And in that moment I remembered what today represents; the suffering of Christ. He willingly took on pain and suffering a million times more than the pain I was experiencing in that moment; a hideous torture to the point of death. And worse more than the physical pain had to be His awareness that in that moment God could not look upon His own Son, that He was forsaken, filled with God’s wrath toward the sins of eternity. How terrifyingly alone He must felt, but He remained faithful to the end. 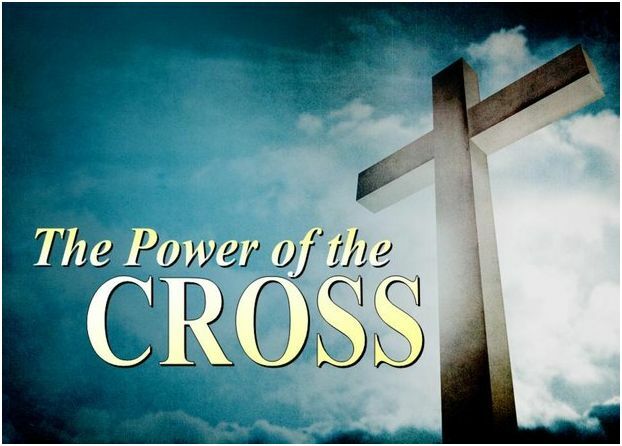 … But nobody can take away the cross from us or the power we receive through that to endure all things for the glory of God. This entry was posted in bible study, conviction, encouragement, faith, God's story, hope, Jesus, love, Salvation, The Cross, trials and tagged Corinthians, Jesus Christ, Power of Christ within me, resurrection, The Cross. Bookmark the permalink.